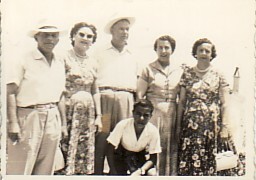 Above Right: Family and friends. 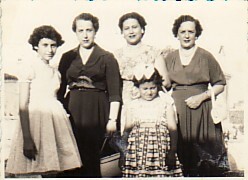 L-R: Efstratios and Vaitsa Hatziapostolou, her husband, Andonios, Myrsini herself, and her sister, Athina. 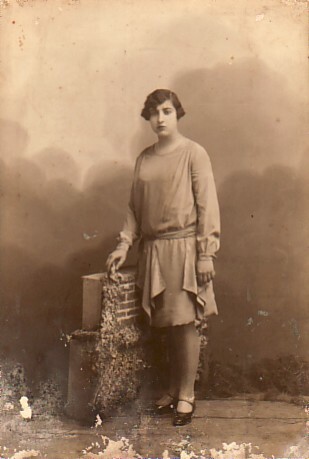 Above: L-R: Erifili Hatziapostolou, Myrsini herself, Vaitsa Hatziapostolou and her sister, Athina. 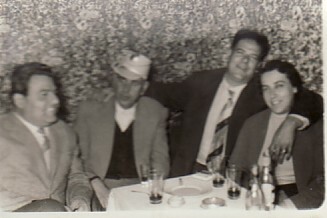 Above Right: With her husband, Andonios, and brother, Chrystoforos (second and third from right respectively).